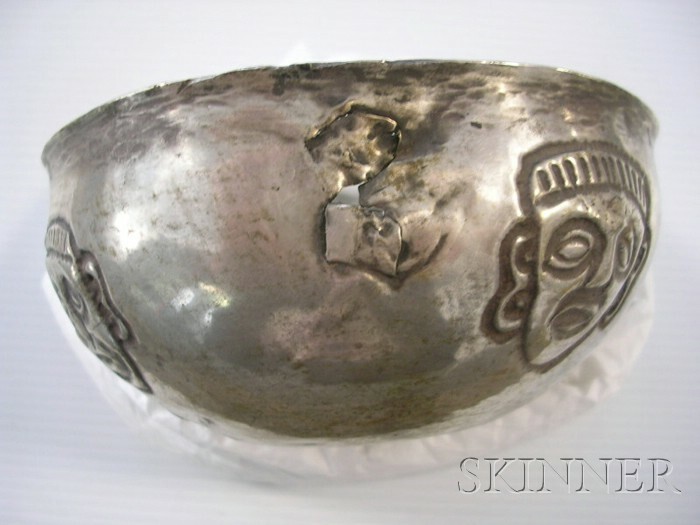 Pre-Columbian Embossed Silver Bowl, Peru, Vicus, c. 200 B.C.-200 A.D., with four embossed human faces, ht. 2, dia. 4 5/8 in.